If you grew up in the early 2000s or the 1980s, the Teenage Mutant Ninja Turtles were most likely a huge part of your childhood. 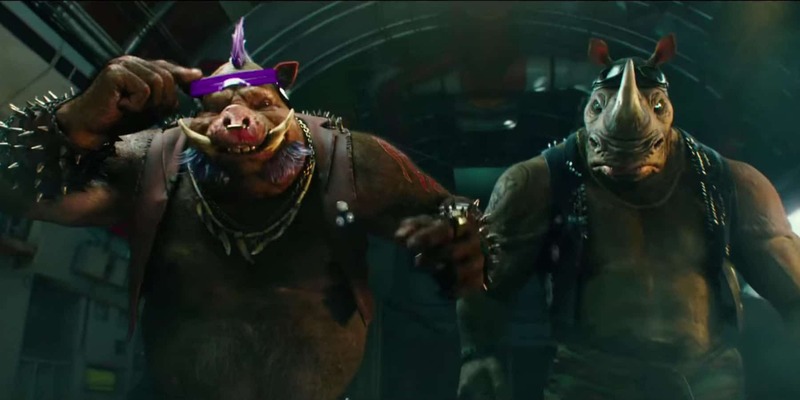 With the release of the latest film in the hugely successful franchise, TMNT: Out Of The Shadows, on Blu-Ray and DVD, Comic Book Resources have an exclusive look at the creation of two of the Turtles’ new enemies, Bebop and Rocksteady. The two characters are fan favourites, and among the many flaws, the latest film had, these two characters were not one of them. Finally, after making their debut over 25 years ago, fanboys and fangirls were enticed to the big screen appearances of Bebop and Rocksteady. In the clip, three of ILM’s top animators discuss the complexities of creating a mutant rhino and pig, as well as transforming WWE superstar Sheamus and Gary Anthony Williams into these iconic foes. You can check out the cool video below. The clip was taken from the Target exclusive release of the film which you can purchase at any Target store. You can check out TMNT: Out Of The Shadows on DVD and Blu-Ray in stores everywhere now.